We had the best time celebrating the holidays at our party! We made ornaments to hang on the tree with foam stickers and then feasted on the best holiday snack. 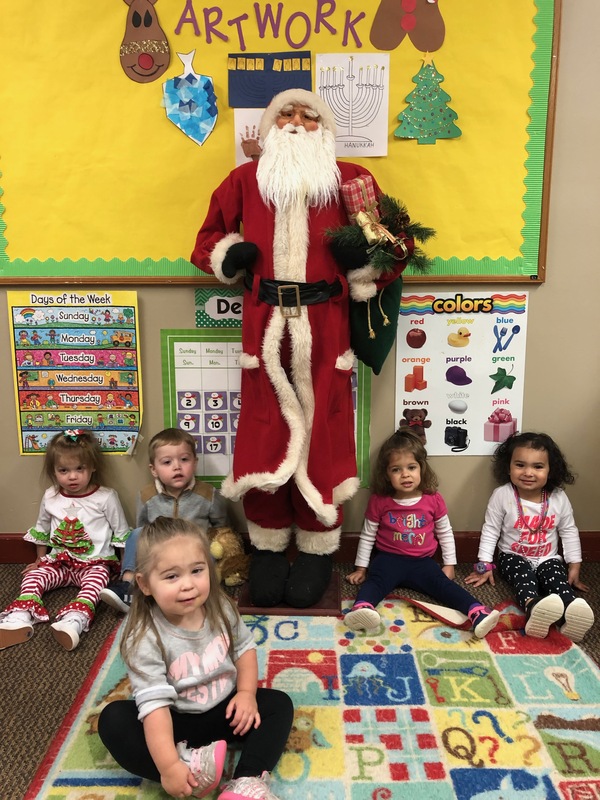 Santa came to have his picture made with the class and not everyone wanted to have their picture made with him, but here is one with the children that did! Hope everyone had a wonderful holiday and cheers to the new year!